Big connection! 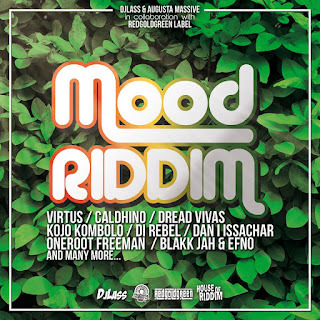 Played by House of Riddim e produced by DjLass & Augusta Massive in collaboration with Redgoldgreen Label, Mood Riddim has a sound new-roots and featuring with artists from all globe. Form Jamaica to Africa up to Europa such names as Kojo Kombolo (Ghana), VirtuS (Italy), Blakk Jah (Senegal) & Efno (Italy), Caldhino (Jamaica), Dread Vivas (Senegal), Di Rebel (Jamaica), Dan Issachar (UK) ft Eccleton Jarret, OneRoot Freeman (Hollande), Missal (Senegal), Nana Binghi (Ghana),Mustaf (Senegal), Africeen Dingkelu (Senegal), Micky B (Belgium), Prezerv (UK/JA), Jupiter Diop (Senegal), majang Wandialanko (Senegal), Docteur Baytoo Senegal), Jeff Kaira (Malawi), Lan Netty enegal) and Nyx Lion (France). Docteur Baytoo (Senegal), Jeff Kaira (Malawi), Lan Netty (Senegal) and Nyx Lion (Francia).